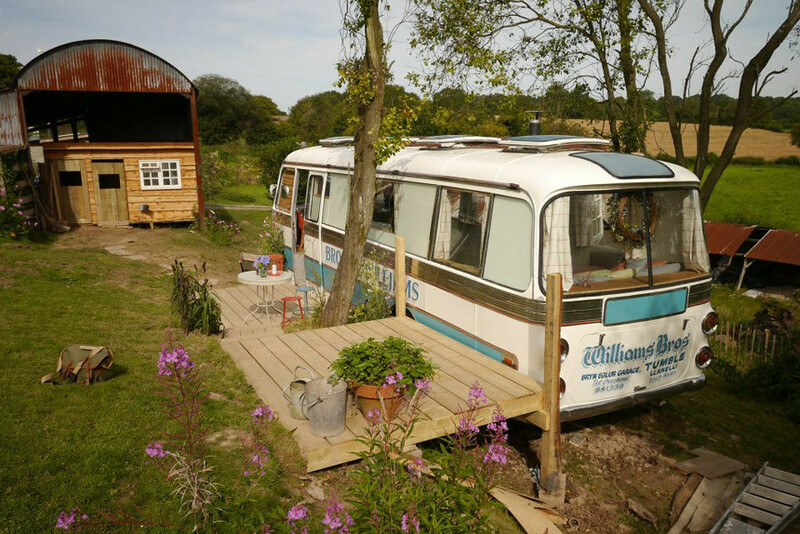 Welcome to the Outside Found blog! Visit our About Page to learn more about our project. Make sure to Like us on Facebook or sign up for our email list to get notified when we add new posts! 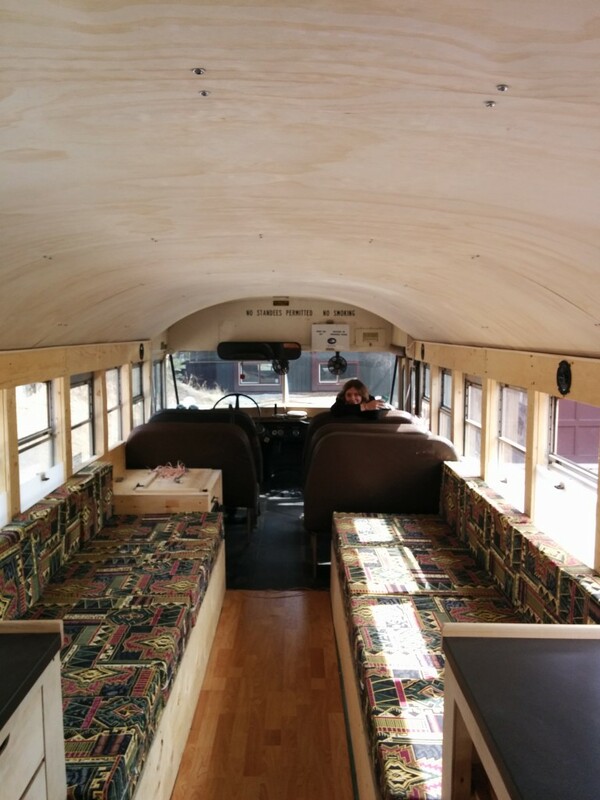 One of the first things I did when Will and I began discussing the bus was google “school bus conversions” to see what others had already done. 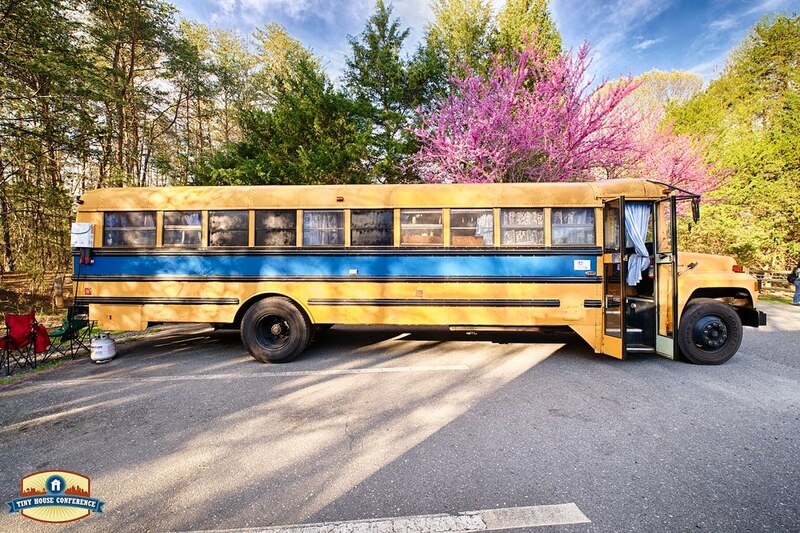 After a few minutes of hunting through search results I learned that there exists a whole community around school bus conversions! 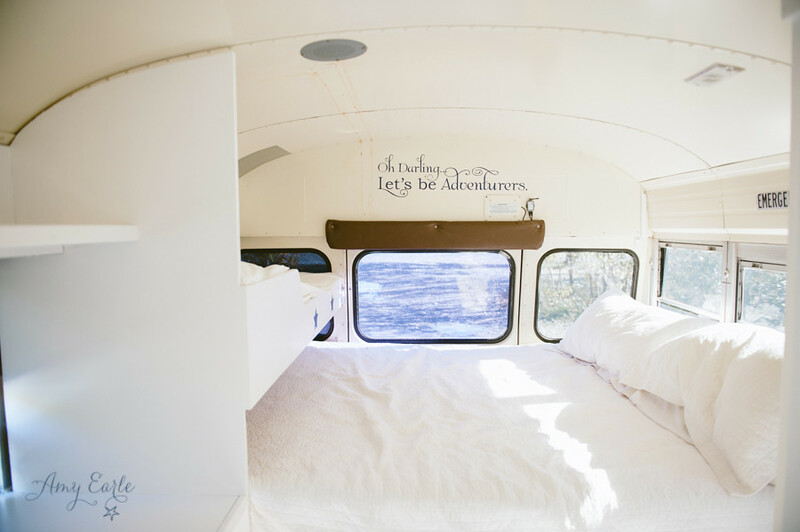 The people involved call their buses “Skoolies.” I’m not in love with this name, but it’s pretty cool to know that there are others out there as crazy as we are. It seems like there are two schools (ha!) 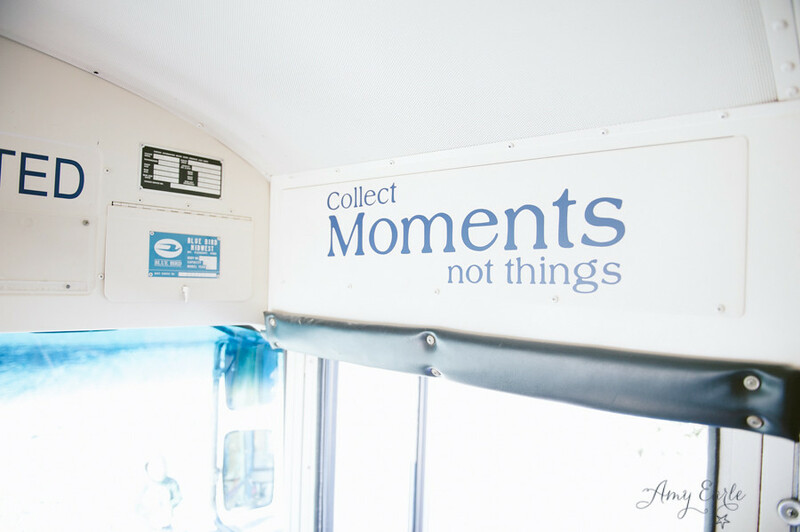 of thought when converting a bus. 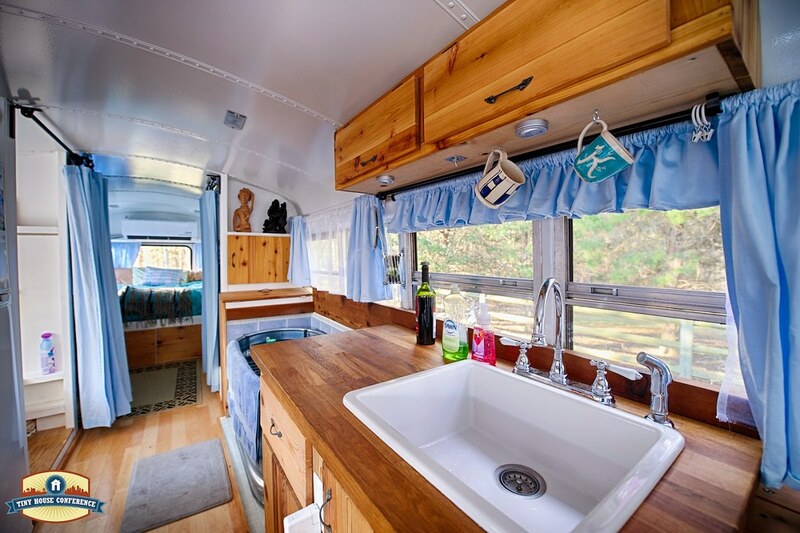 Some people like to remove all of the windows and panel everything in, resulting in an interior pretty similar to a modern RV. 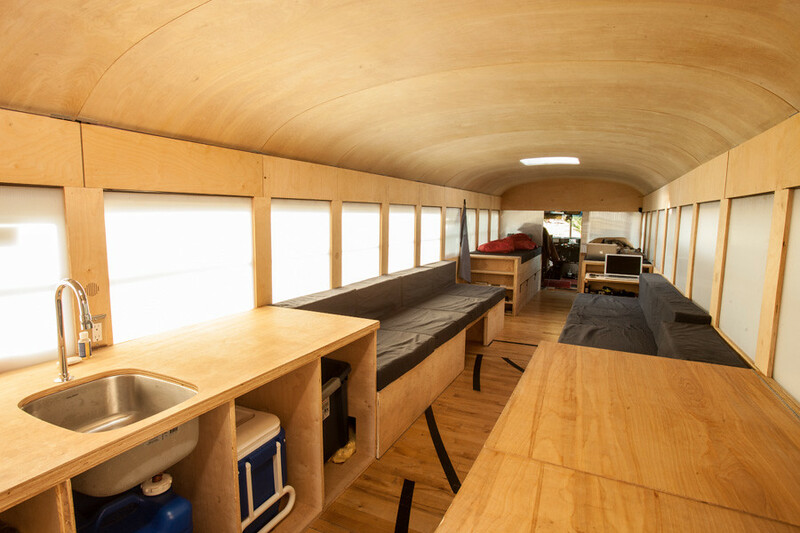 This option gives you a lot of “rooms” and is great for insulation and storage, but also significantly reduces the amount of natural light and can sometimes make the bus look creepy. The other option is to keep as many of the original windows as possible, building around them to create an open concept home full of light. We decided to take the open concept route because we don’t need a bunch of rooms (since there are only two of us) and we love natural light. We know our insulation efforts won’t be as effective as if we’d covered the windows, but think of all the views we’ll get to see instead! 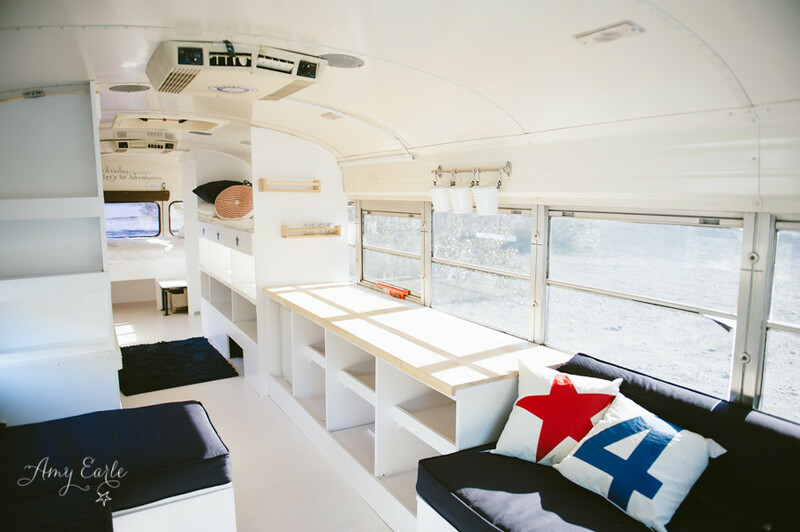 With that in mind I’ve pulled together a collection of bus conversions that we really like. Check out the photos and let us know what you think! 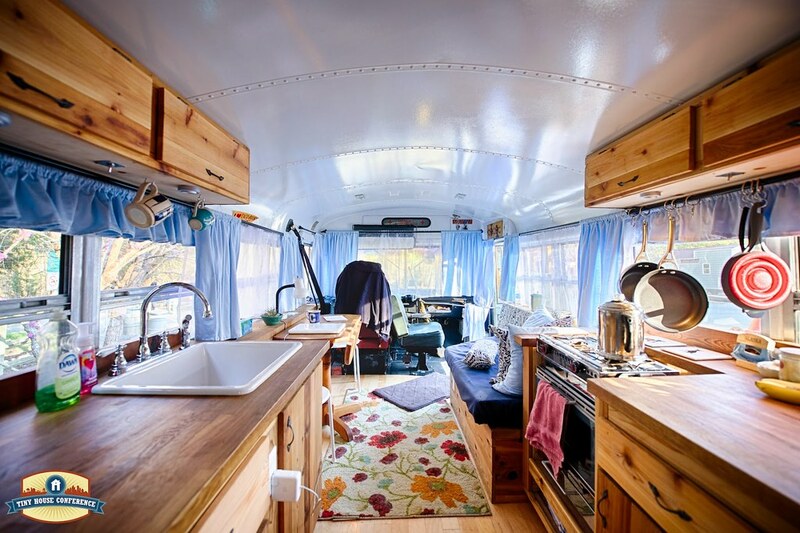 This was one of the first bus conversions I came across and probably the most widely publicized conversion outside of the community. 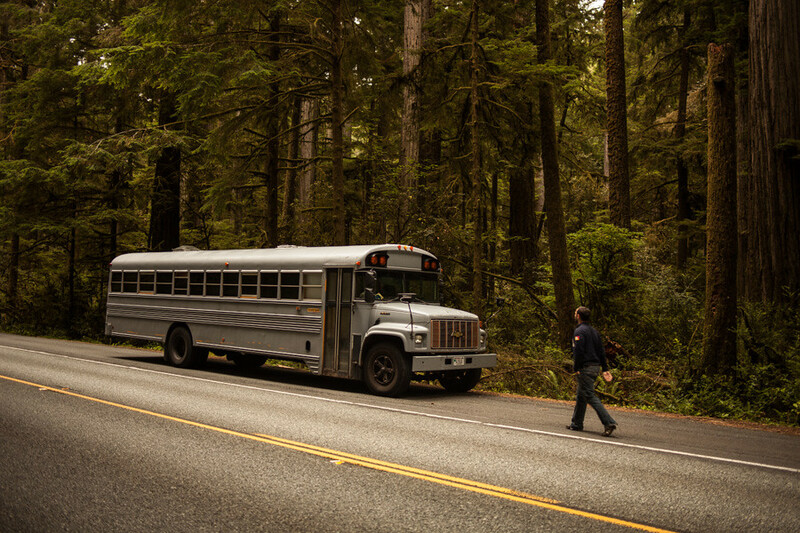 Hank is an architecture student who used the bus as his final school project. 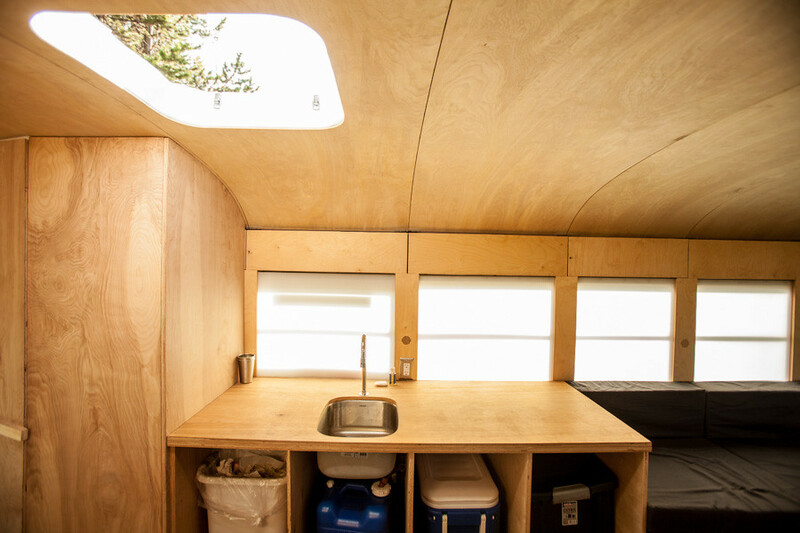 His layout is very creative and we love the open, modular style, but will need a much more permanent kitchen and bathroom setup. 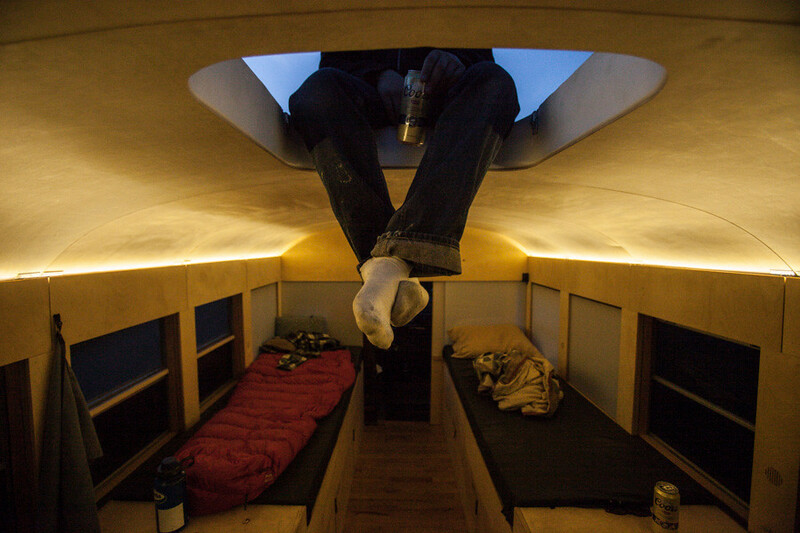 We’ll also be defining more permanent bedroom and work spaces. 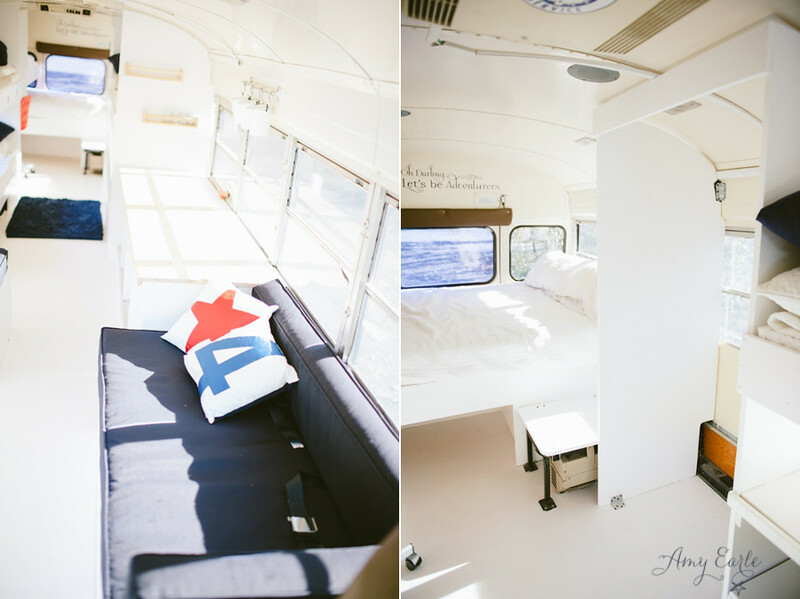 Read more about Hank’s Bus on his blog at HankBoughtaBus.com. 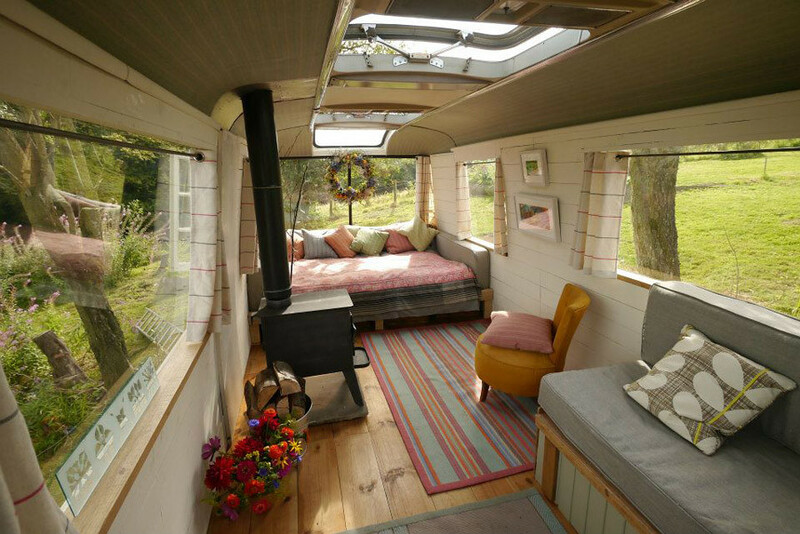 This is one of my favorite conversions! 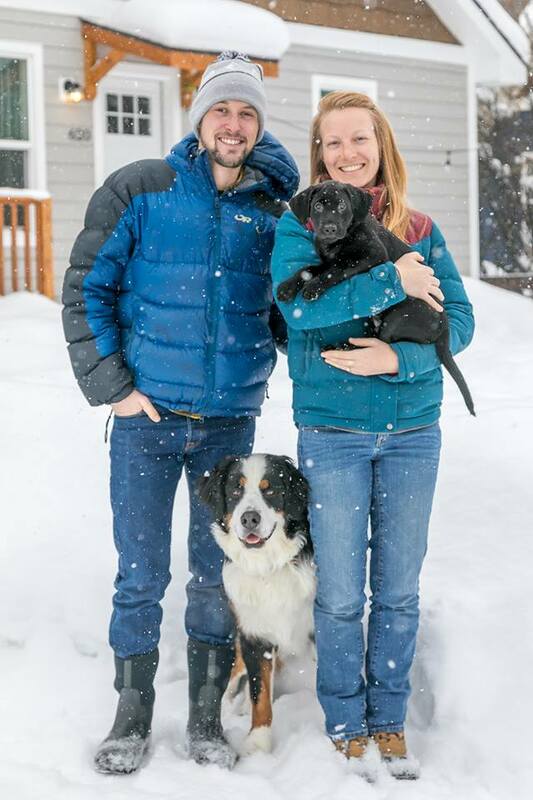 Kelly and her husband Chris have done almost exactly what we want to do. 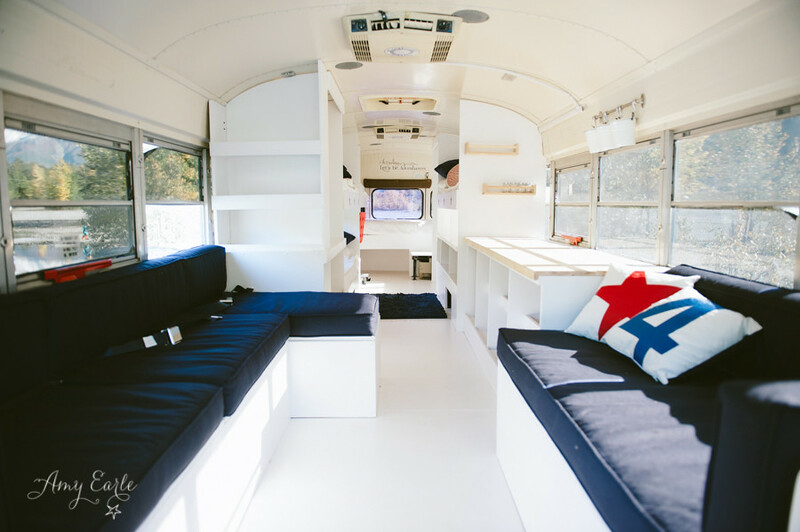 We love the aesthetic and layout and hope to end up with something as nice as the Just Right Bus! 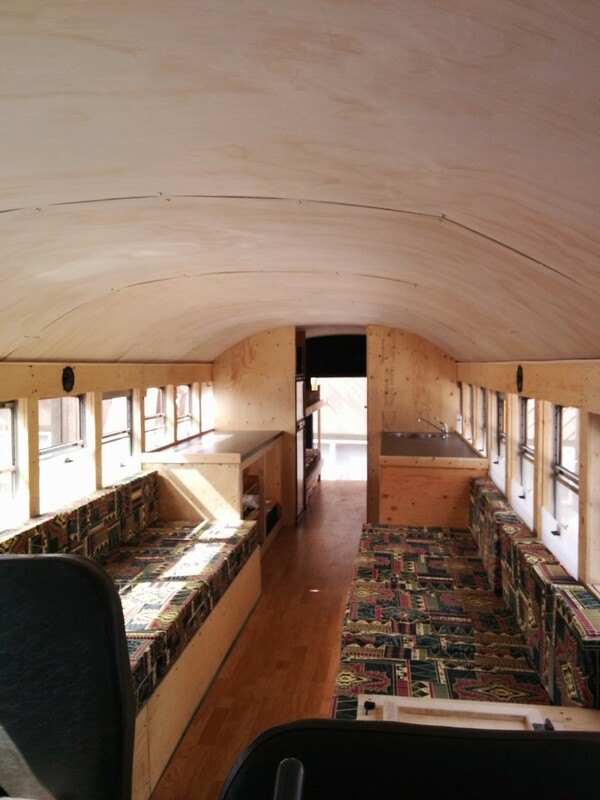 You can check out Chris & Kelly’s progress on their blog JustRightBus.com. 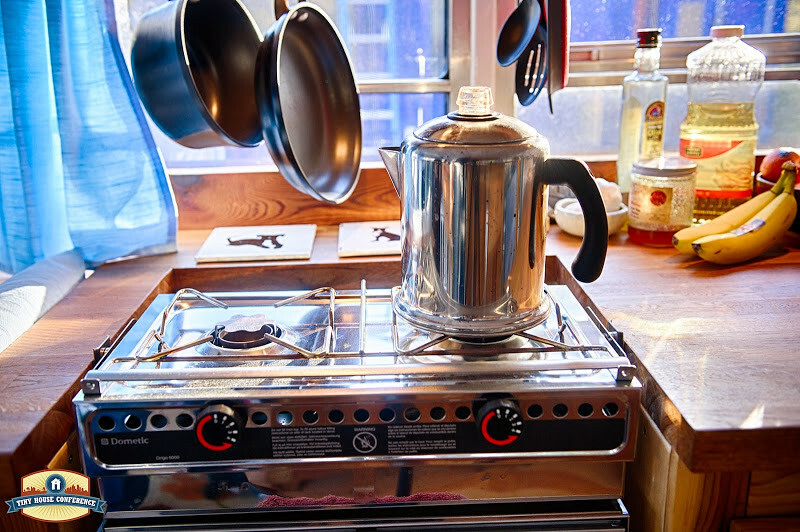 These photos by Christoper Tack, courtesy of the Tiny House Conference. 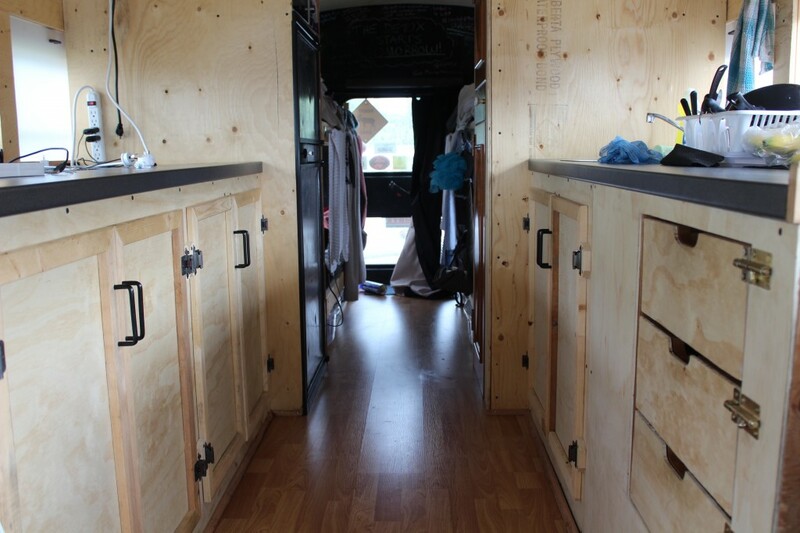 This bus shows off a great open floorplan and gorgeous woodwork. 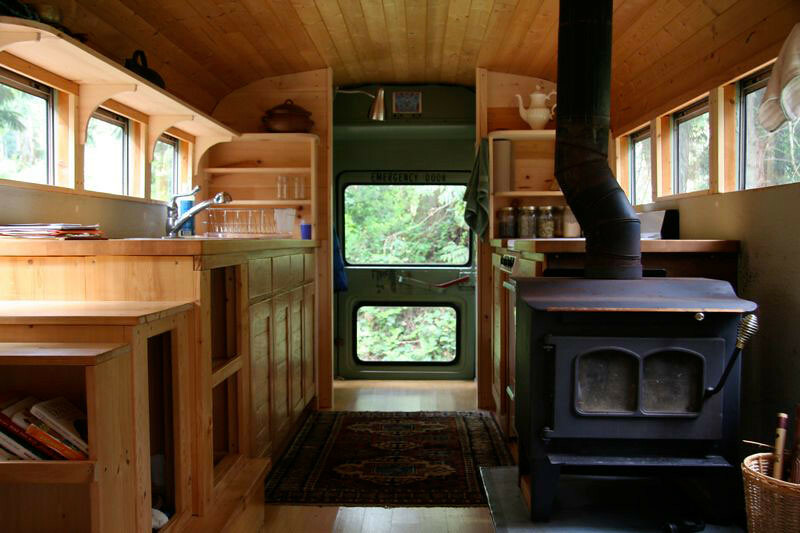 We also love the wood stove, though we likely won’t have room for one in ours. More on the International here. 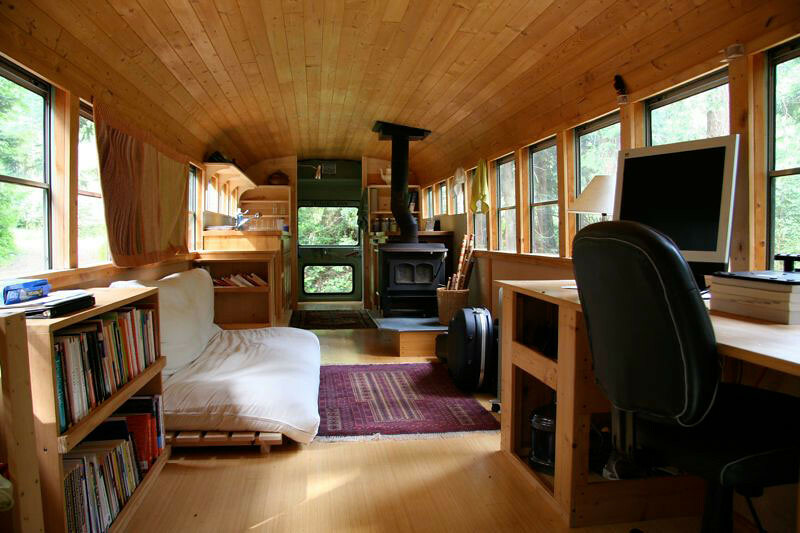 The Majestic Bus is no longer driveable but it’s still a great example of what can be achieved in a small space. 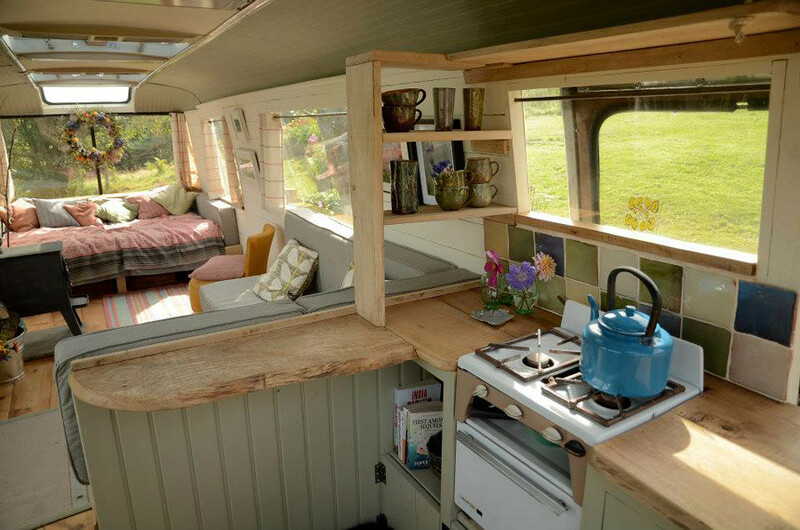 We love the way that they’ve used an asymmetrical L shape for the couch and kitchen counter layouts! More on the Majestic here. We totally forgot one of our favorites! Thankfully, one of our friends reminded us to include the Spruce Moose on our list. 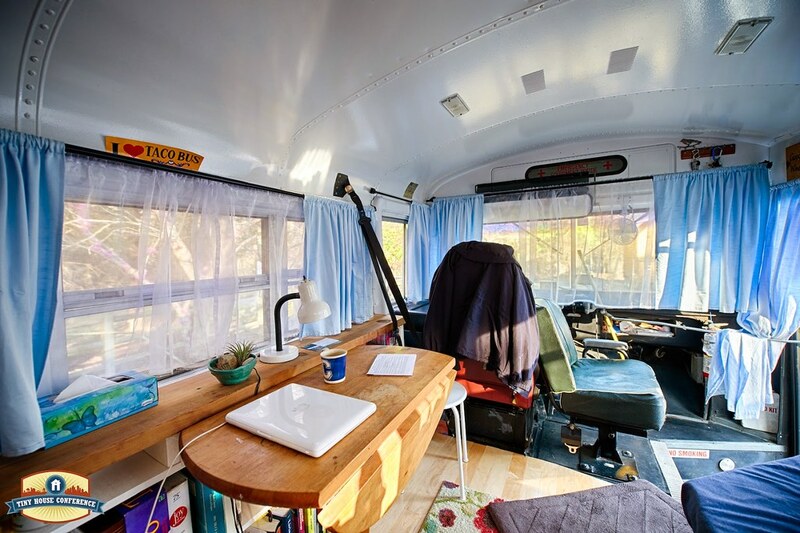 The Spruce Moose is an excellent blend of the minimalism and simplicity of the Hank bus with a little more focus on the intricacies of full time living. 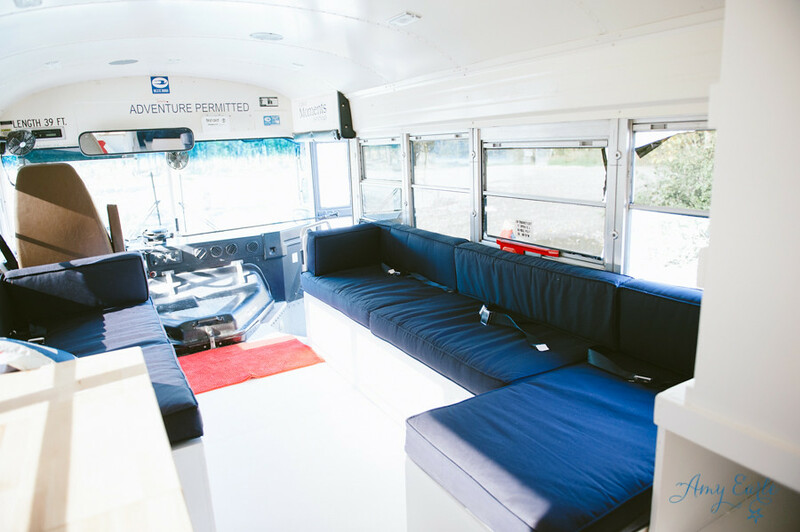 The natural light and open spaces are aspects that we hope to include in our own bus when the time comes to start building. 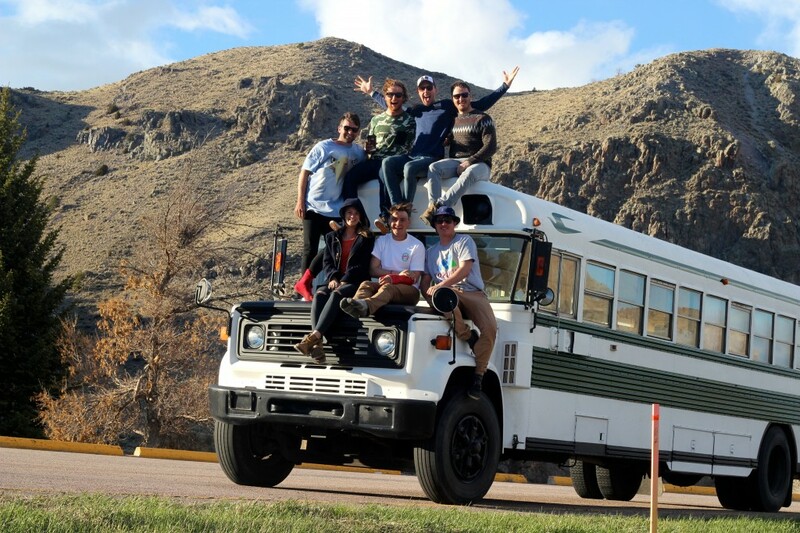 This bus was sent to us in the comments (Thanks Tammy!) and we are totally digging it. 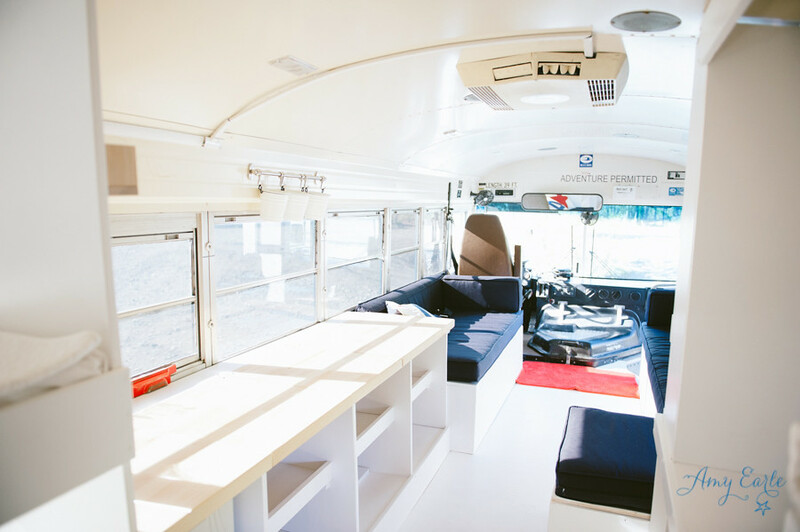 The Earle’s have taken a different approach than most of the other buses on this list, using white materials throughout. 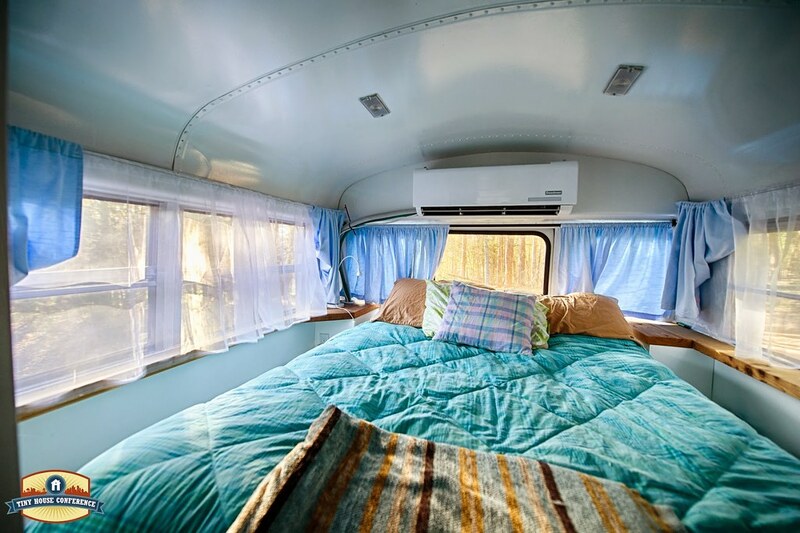 I love how airy and bright it feels! 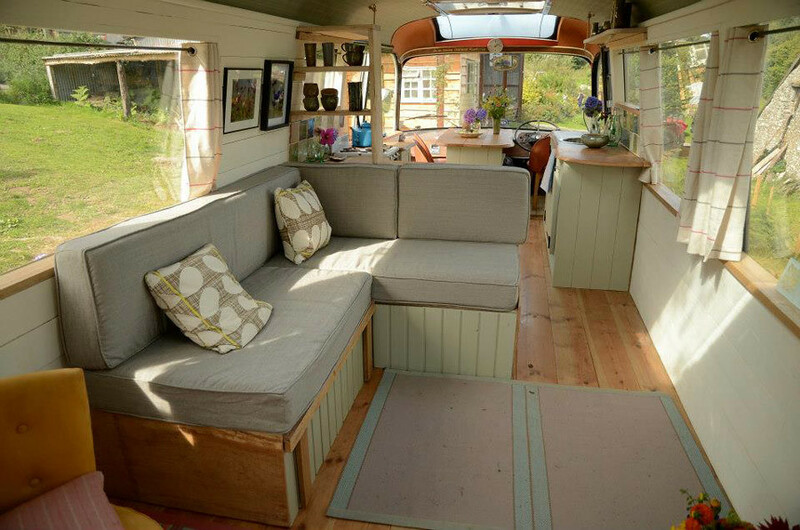 We also really like the idea of the L shaped couch up front. 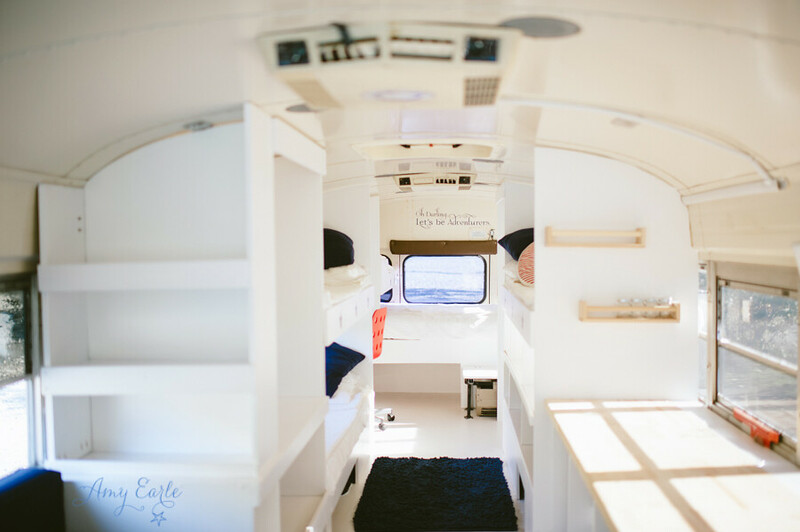 Of course, we don’t need bunks for kids, so we’ll be using a lot of the space to the back of the bus differently than they have here. 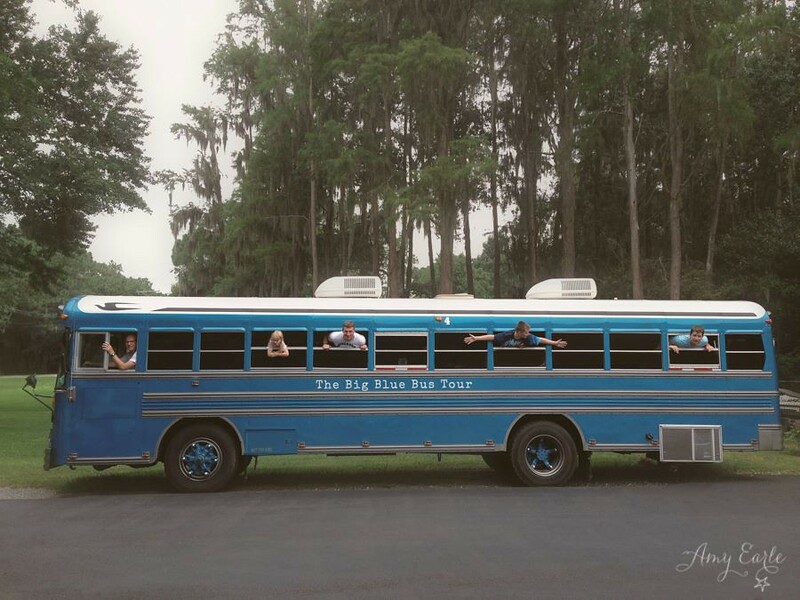 You can check out The Big Blue Bus blog here and the Adventure Permitted facebook page here for more more info. 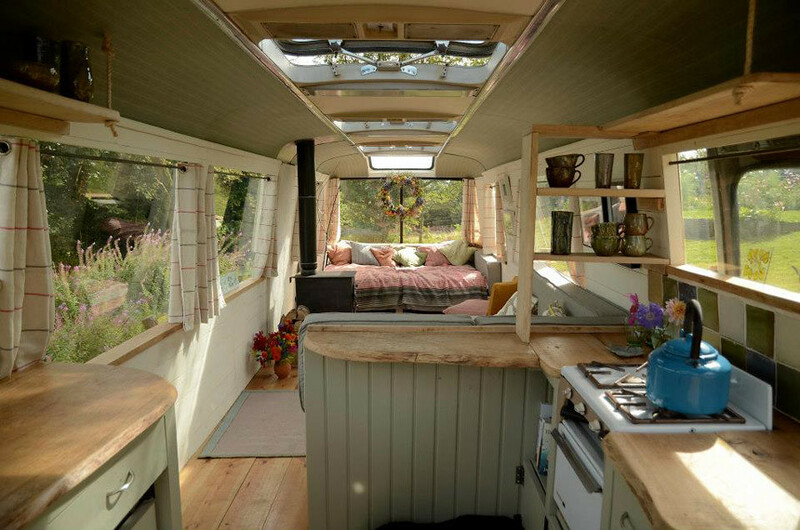 Have you seen any other cool conversions floating around the internet? Leave a link in the comments below. We’re always looking for new ideas!